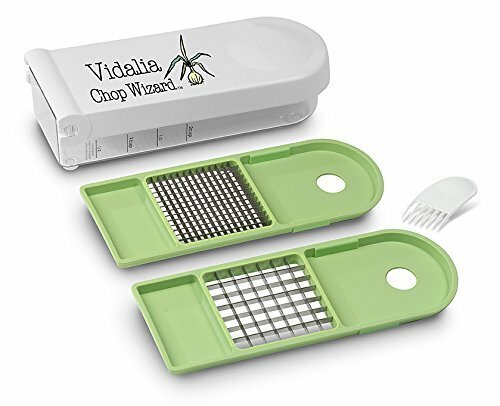 Due to a combination of poor knife skills and worse knives, I’ve never been very good at dicing, so I bought the Vidalia Chop Wizard to help. It dices beautifully, and I use it frequently, probably more days than not. Cutting veggies up into smaller pieces makes it easier to get them into my childrens’ stomachs. So I definitely consider this $20 extremely well spent. However, it’s not perfect. It’s surprisingly loud to operate and depending on what you’re dicing, it can require a fair bit of force to use. It can be a little fussy and time consuming to clean as well. Note: Be wary of unethical sellers passing off cheap knock-offs as the real thing on Amazon. I got mine at Target to be safe.